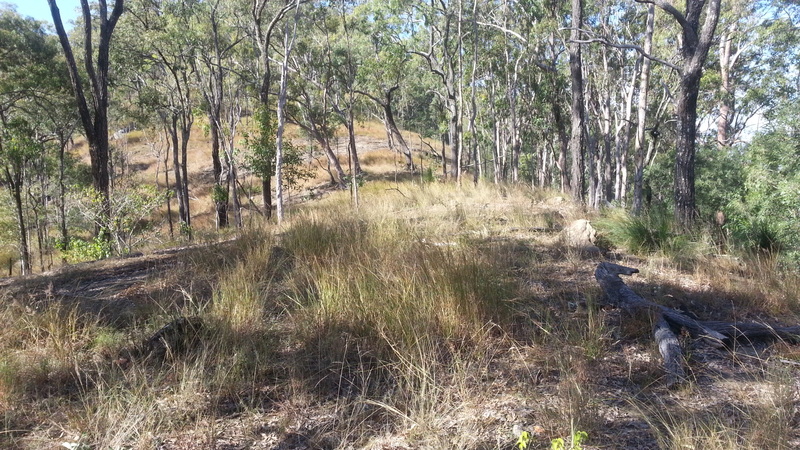 A couple of friends planned a morning single track ride at Mount Joyce today so I had to check this mountain bike park out. The night before I studied the topographic maps and read about what the Mount Joyce recreation park had to offer. 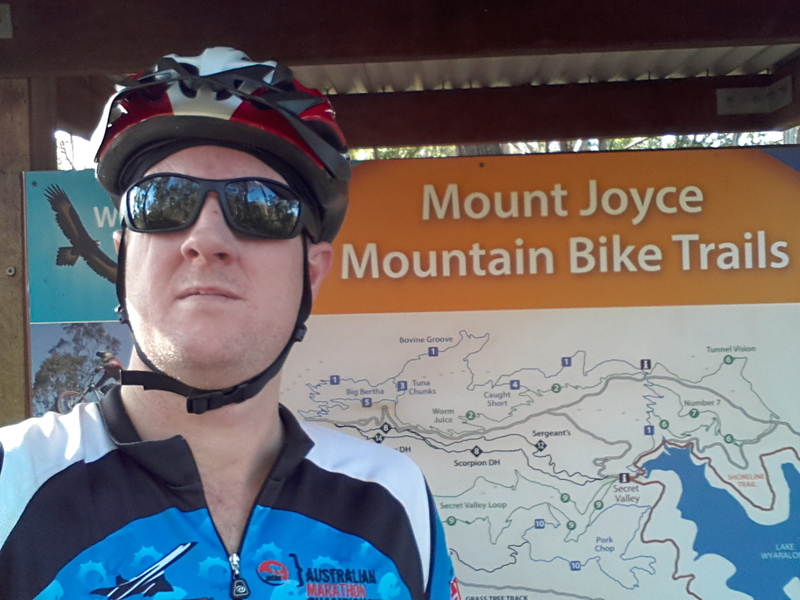 The mountain bike tracks are built on the slope of Mount Joyce at 420 metres high. 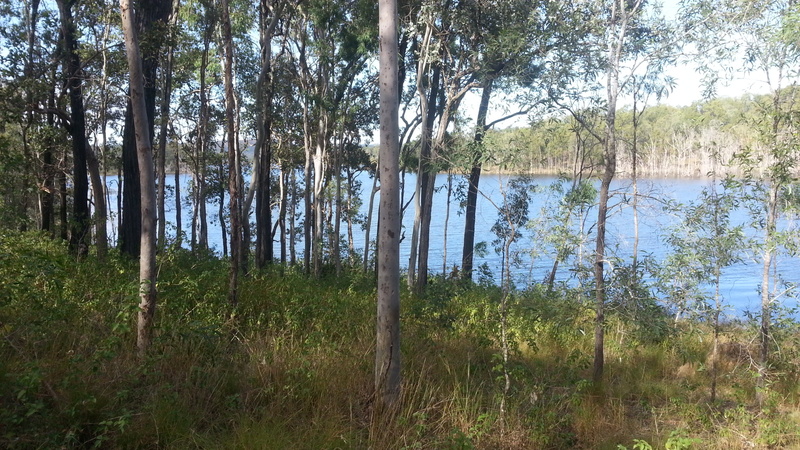 On the southern base of Mount Joyce lies Wyalong dam, making for some eye-catching views. 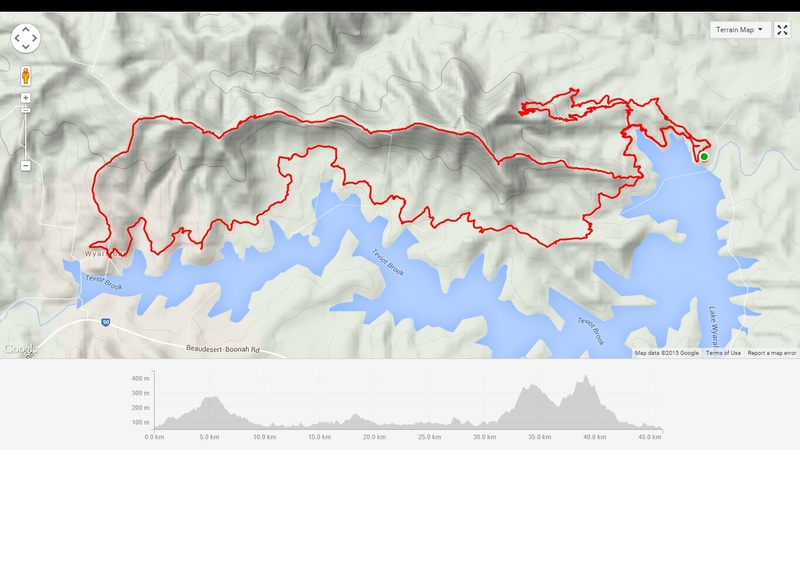 The maps showed a multi-use track that followed the shoreline of the dam then looped back inland over the mountains along the ridgeline reaching the highest point before descending back down towards the start. This loop appealed to me, well at least on paper it did! After 10 kilometres of steep up and down single track, my friends were spent. We had climbed over 300 metres of elevation gain in a short space of time. My loop was going to happen! I set off with determination. 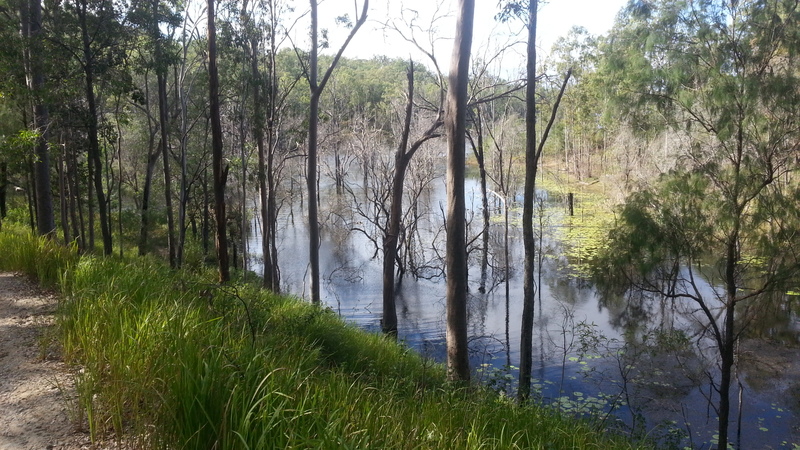 The slog around on the dam’s shoreline track was tougher than I expected. Sand, mud and lots of vegetation across the track. It soon became apparent to me this track was more popular for horse riders than mountain bikers, you could see hoof marks left in the dried mud. After an hour or so I arrived at a grassy camp site with an old shack. The shack had a water tank so I topped up my water supplied just in case. As I was leaving the camp ground lo and behold I met a lovely lady riding a horse. We both stopped and greeted each other and soon broke into a chat. She does long endurance horse riding and was out training. She knew all the tracks in the area and quizzed me where I was heading. 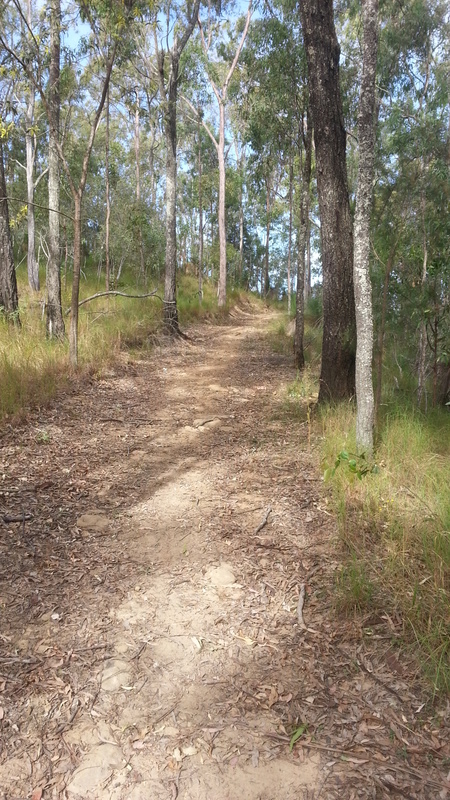 She said I was mad to take a mountain bike up the ridgeline track due to the steepness. She said it was steep for a horse and quizzed me about my water and if I had a phone. This put my mind in doubt mode. I said my goodbyes and sheepishly continued on my route. As I turned the cranks over, I had plenty of time to think. Am I mad? Am I biting off more than I can chew? 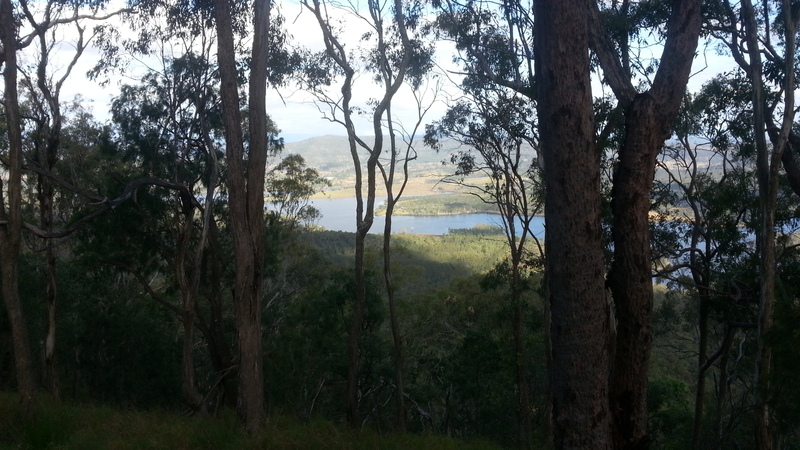 Just as I arrived at the start of the ridgeline track I was met by a hiker. He had spent the night up on Mount Joyce and was heading back out. I asked him what the track is like, he replied “you can’t take a bike up there mate!”. We continued to talk for 10 minutes about the conditions. He talked me out of it until he admited he knew nothing about mountain biking. I had already travelled more than half of my intended loop and had more distance to cover if I was to turn around and go back. Bugger turning around I thought, I had plenty of water, food, sunlight and a mobile phone. I was up for a challenge, so headed up the track with the hiker in disbelief. Straight up but photos never do the gradient justice. I’ve done steeper gradients before, but it was still very steep. Hike a bike was a common occurrence. Wasn’t long and the track got bad. Overgrown with grass. At times I could not even make out a track! Not much of a track to follow. At times my GPS was the only thing telling me I was on the track. The horse rider and hiker were right, this is not fun territory for a bike. Turning back meant big kilometres back the way I had come, I refused to turn around. I pushed on cursing my stupidity with the only comfort of my GPS telling me I was heading in the right direction. Thick long grass cutting me up. 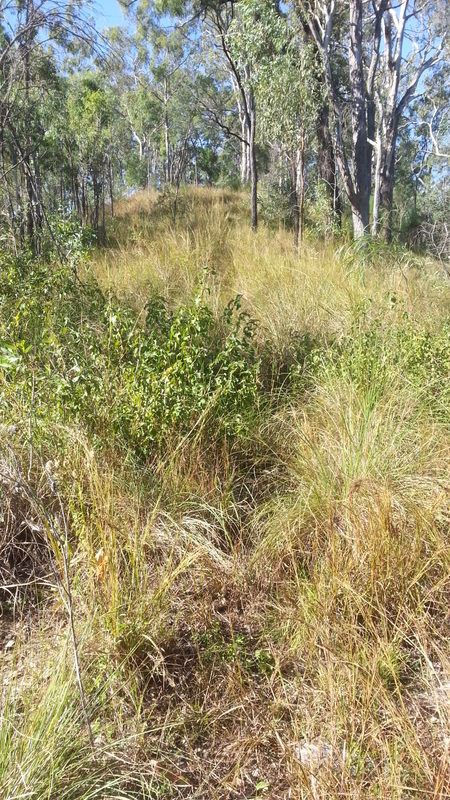 You can see in the last picture, it was extremely steep in some spots and completely un-rideable. I had to carry my bike on my shoulders at times. This went on for hours! I was inching closer to Mount Joyce and this was my goal. I knew it was all downhill from the top. My body wanted to give up. At one stage, I sat down beaten. I thought about calling for help but this is the last thing I wanted to do. I even contemplated sleeping over in the bush, but without any warm clothes, hypothermia would result for sure. It was not an option. I kicked on putting one foot in front of the next. 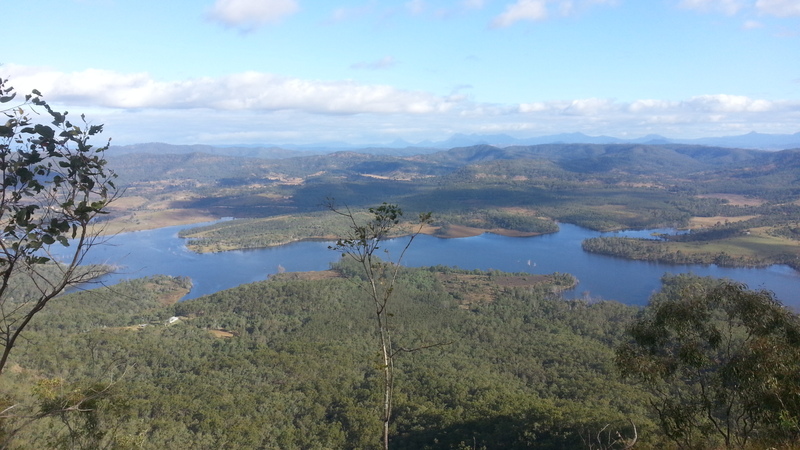 Eventually I made it to the top and the view was just breath-taking! I sat on a rock and took in my surroundings. I felt so relieved and mentally rejuvenated. I knew I could make it, I just had to harden up. My last epic had 665 metres of elevation gain, this one accumulated 1408!! Distance: 46.1klm; Moving time: 4hrs26mins; Average speed: 10.4km/h; Elevation gain: 1408m; Calories spent: 2,708. With all the hike a bike and bash bashing, I rate this ride 9.5 out of 10 on the tough-o-meter.